Accurate Carte der Uplandischen Scheren mit der Situation und Gegend umb die Konigle Schwedisch Haupt und Residentz Stadt Stockholm. This is a 1730 Homann map of Stockholm Sweden. 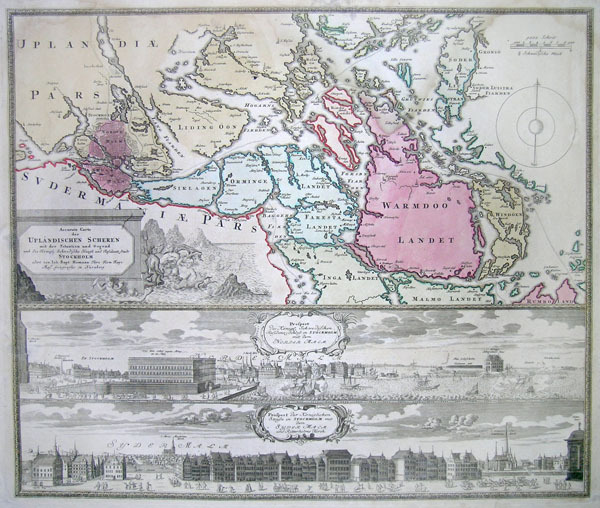 The lower portion of the map includes two views of Stockholm. Very good. Map is in very good condition with a minor water stain in the upper central portion (margins) of the map.